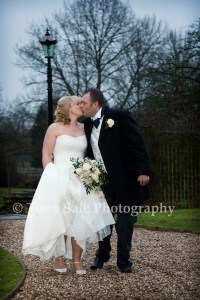 I first met Pauline and John just over a year ago when they first booked me to photograph their Gosfield wedding and I have met them several times since to discuss the finer details of the day. 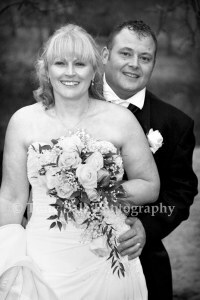 I have to say they really are a lovely down to earth fantastic couple that were a joy to work with. 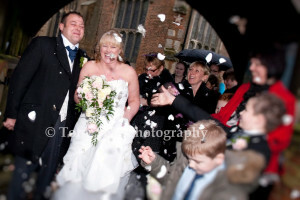 Although the recent snow had cleared the weather on the day was not the best, it was cold, windy and raining. 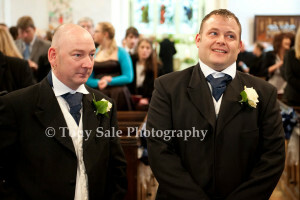 I had hopes that it would improve by the time of the wedding but alas it didn’t. 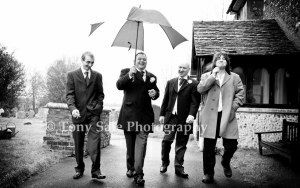 Still they say it’s lucky if it rains on your wedding day (it threw it down when Kate and I got married). 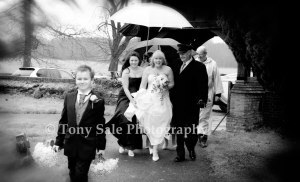 The wedding itself was in St Catharine’s Church in Gosfield, which is a beautiful church and a lovely place to get married. 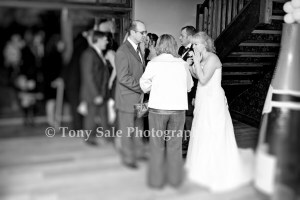 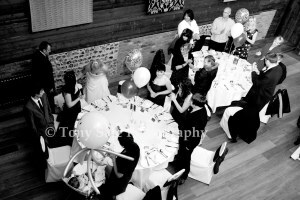 The reception followed at the White Hart in Great Yeldham, a very prestigious venue. 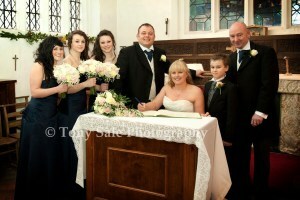 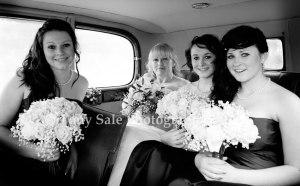 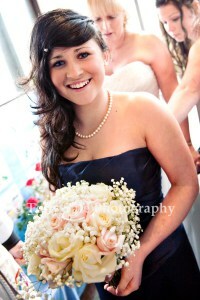 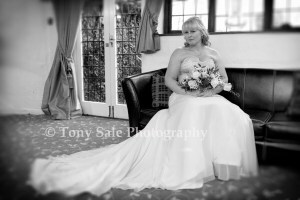 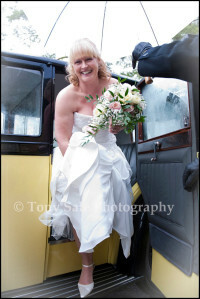 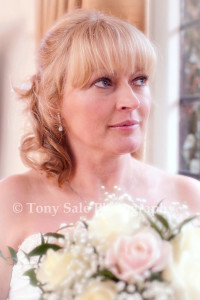 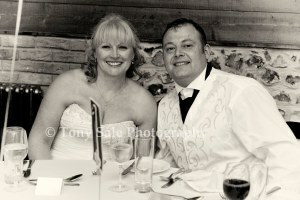 The Bride and Groom, and everyone else for that matter were very relaxed and looked fantastic, see what you think.